Exploring pre-owned cars and trucks is always exciting. Each used vehicle is unique, and often offers a steep discount instead of purchasing a brand new vehicle. Quirk Auto Group is excited to announce the opening of its newest Massachusetts used car dealership, Quirk Preowned Marshfield! As usual, we will be offering great deals on used cars, used trucks, and used SUVs. We strongly encourage you to come visit us in Marshfield, MA soon to check out the new store and pre-owned vehicles we have in stock. Whether or not you are in the market for a used car right now, it could be a good time to start thinking about it. We are offering lots of awesome deals and incentives to celebrate the grand opening of this Marshfield used car store. So yes. The Quirk Preowned Marshfield dealership is carrying all kinds of used cars. We will be building and showcasing the largest used car inventory and by far the best deals on used vehicles in Massachusetts and especially near Boston. We know that used SUVs are about to be in high demand with winter looming, so if you have one youd like to trade in, or find, let us know! You can also schedule a test drive with us and see how our professional and friendly sales consultants can help you find the perfect fit. So, if you’re looking for a used Ford, its likely we have at least one. Or maybe you like German vehicles and youre more interested in a used Volkswagen, we have those in stock too. 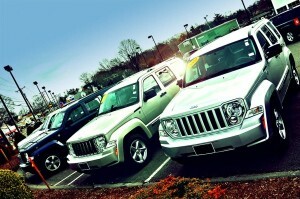 Used Chevrolet as well as used Jeep are in stock right now. And, as this very moment, we also have used Acura, Cadillac, GMC, Kia, Lexus, Mazda, Nissan, Scion, Subaru, and Toyota. This is just the beginning though, because new used cars are being traded in all the time. Quirk always offers the best trade in values and the best prices. This is possible because we are a high-volume vehicle dealer. We are also in the process of adding new specials to our website, so be sure to check there occasionally to find special deals on used trucks, used cars and used SUVs in the south shore. Which models would you like to see in stock? Quirk Pre-owned Marshfield is always happy to hear from customers and appreciates feedback of all kinds. When you visit our website, you will be able to search vehicles by any conditions you seek. We are also happy to help you get an appraisal on your current vehicle if you are thinking of trading in. Plus, getting a loan financed on a used car is easy at Quirk Pre-owned Marshfield. We also have live chat available to help you find your next car, or answer any questions you may have. Feel free to call us at (877)-466-1512, contact us via e-mail, or just come visit the store at 955 Plain Street, Marshfield, MA 02050. Were also on Facebook and Twitter, so come visit and chat with us there too.